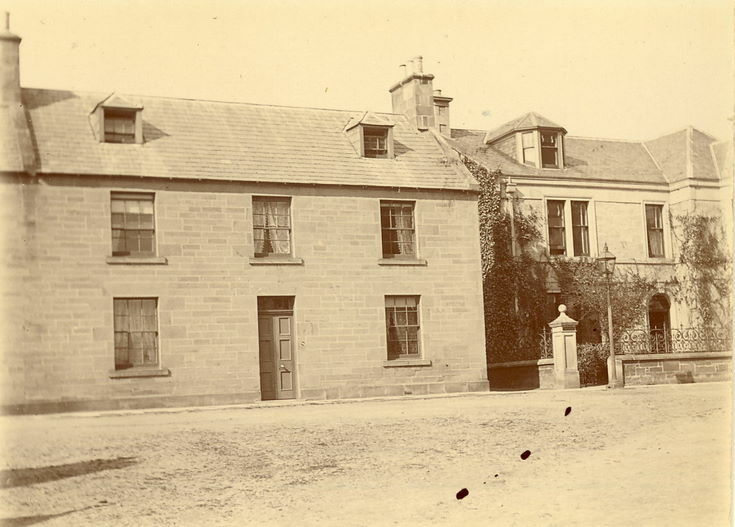 Monochrome photograph with handwritten notation "School House & Bank of Scotland Houses, High Street, Dornoch". From an album of postcards and photographs taken by Mrs J.I.C. Mackay of Dornoch and the surrounding area.